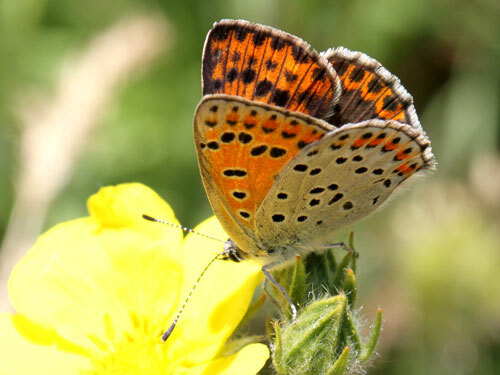 Widespread and frequently encountered across most of Europe, absent from the UK, Scandinavia and much of Spain. 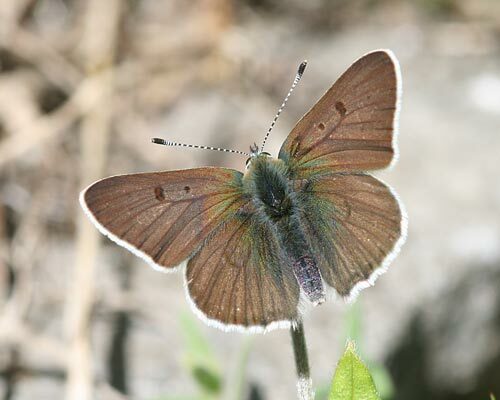 Identification & Similar species: The dark upperside hindwing eliminates most similar species. 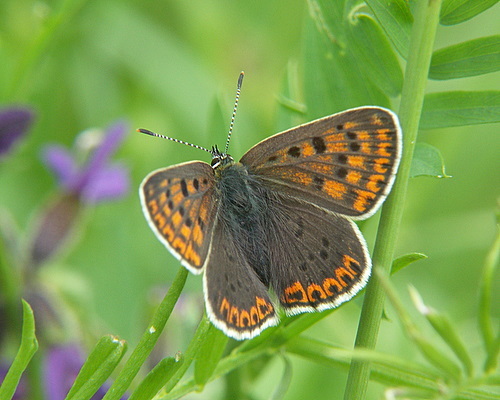 Males are sooty black on the upperside. 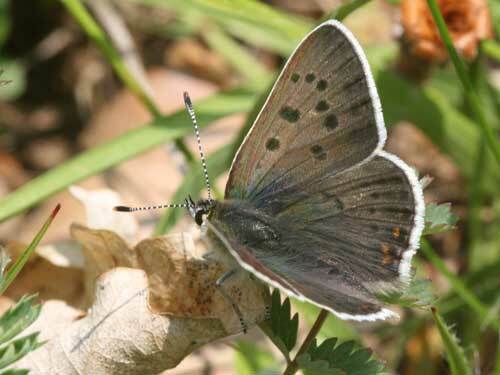 On the underside, a double band of black marginal spots on both wings and a rather uniform greyish ground colour help distinguish the species. 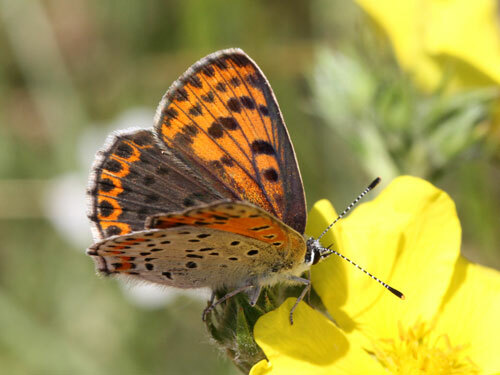 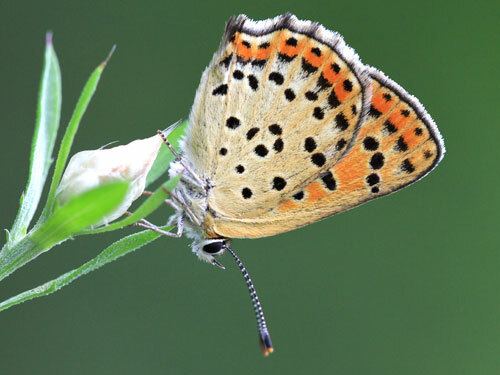 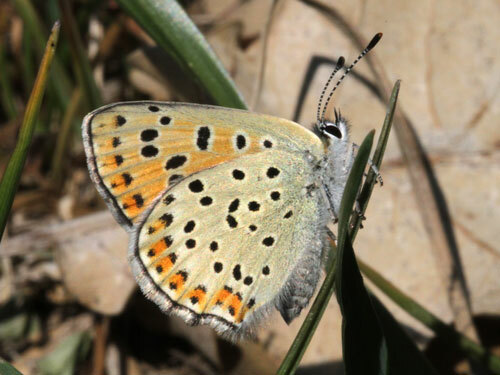 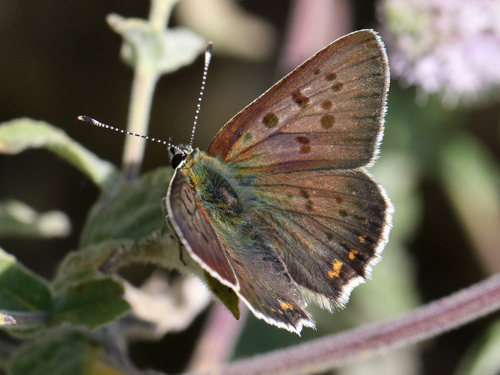 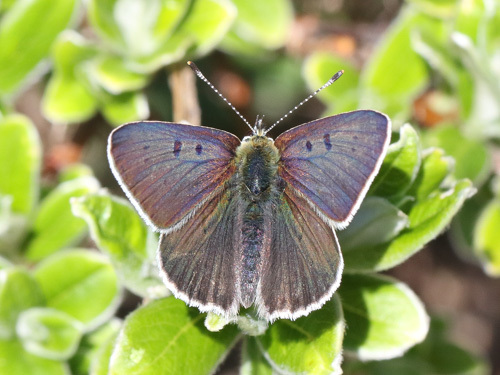 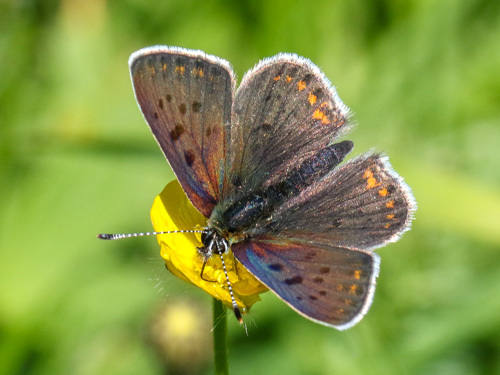 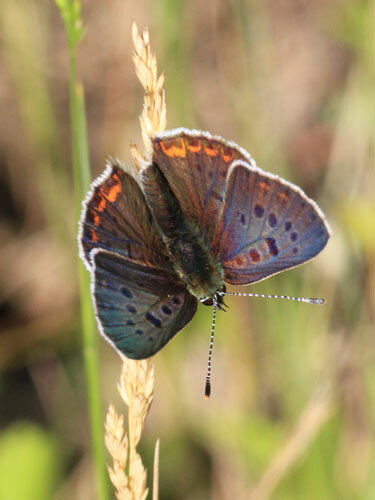 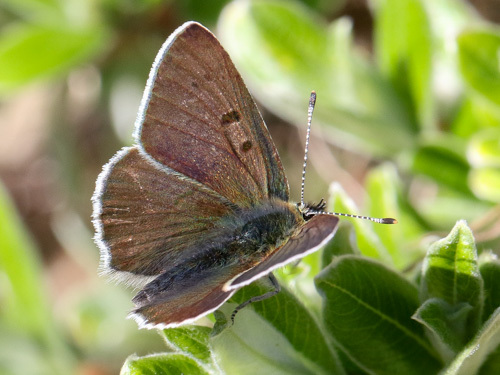 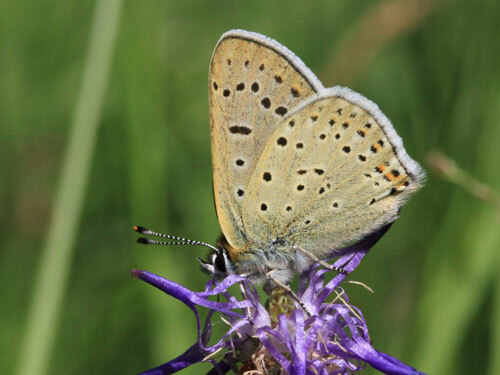 The very similar blue sooty copper, L. bleusei, flies in central spain. 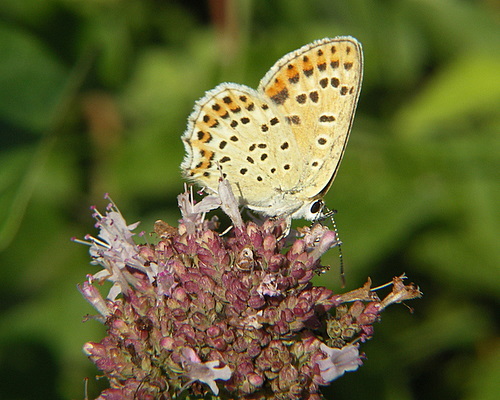 The species do not overlap. 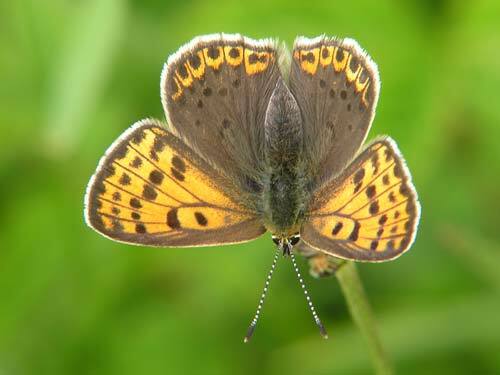 It is separated by the orange on the upperside forewing of the male. 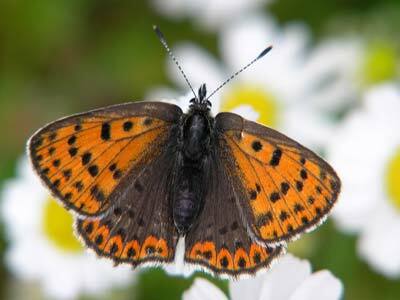 Distribution & Flight: Most of Europe except most of Spain, UK and Scandinavia. 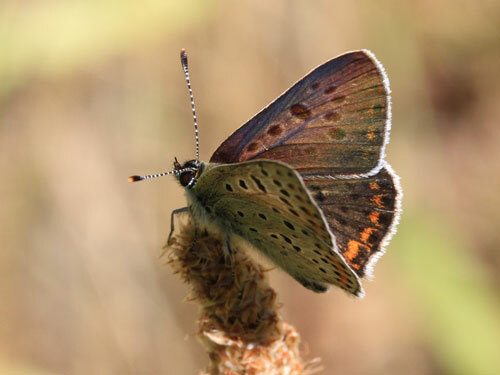 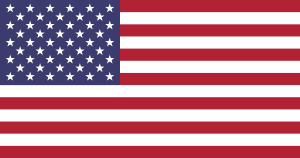 It flies in a series of broods through the warmer months. 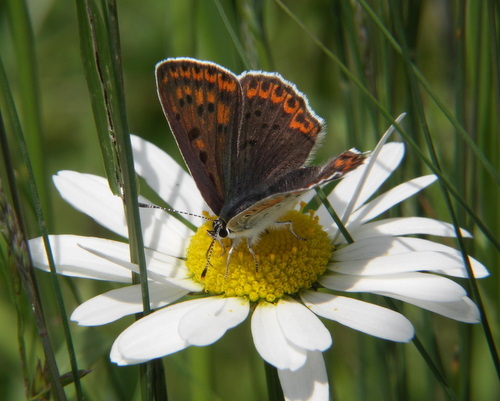 Habitat & Behaviour: Diverse but usually flowery grassy meadows in grassland, woodland or at alpine levels. 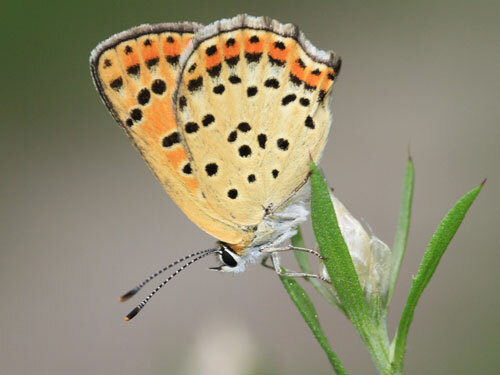 Variation: Extent of orange colouration and markings all vary. 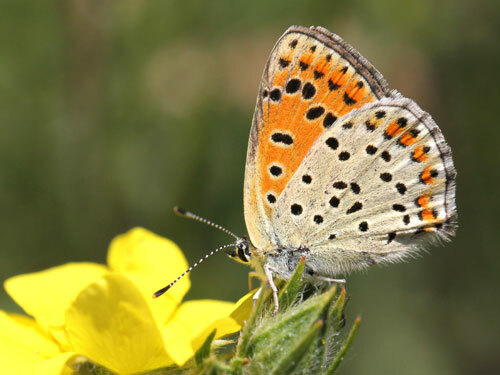 At high altitudes, subspecies subalpina flies in which both sexes are very sooty.